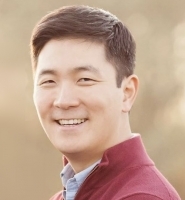 Joe Park is the Chief Digital Architect and Vice President of Associate Digital Experience at Walmart. Joe joined the company in June 2017 and leads teams responsible for driving growth and productivity by providing Walmart’s global workplace of more than 2.3 million associates with consumer-grade technology. In his role within Global Business Services (GBS), Joe oversees strategy, engineering and operations for the enterprise’s infrastructure, client, mobility, collaboration and productivity digital platforms. He also is responsible for intranet solutions and leads enterprise architecture, user experience design and user interface design. Before joining Walmart, Joe worked in technology and finance roles at General Electric Company. He held senior management positions with GE Healthcare and GE Power, including vice president of IT integrations, digital productivity and strategy. Joe’s duties at GE spanned the energy, healthcare, financial services, and aviation industries. He earned a bachelor’s degree in Information Technology at Rensselaer Polytechnic Institute and a master’s degree in strategy and marketing from Northwestern University’s Kellogg School of Management. Find out more about Joe on LinkedIn.